Mexico is full of many secrets but none are as great as the seven secret sauces known as Mole (moh-lay) that I learned about while travelling in Mexico. 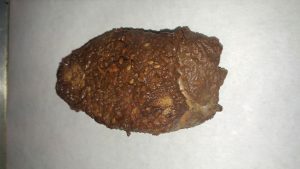 I like to use a brown Mole with duck as it quite rich and combining duck and chocolate into the same recipe is guaranteed to delight the palate and is perfect to serve on Valentines Day. Pekin duck is a breed of duck bred from the Mallard duck in China. Its domestication was primarily for egg and meat production. In 1873 nine Pekins were exported to Long Island, New York which explains why some refer to this breed as Long Island duck. Since this time the Pekin duck has become the most consumed commercially available source of duck meat. Peking Duck is a method of cooking duck which similar to the Pekin breed has its origins in China. This Imperial era dish originated during the Yuan Dynasty and was further developed and refined during the Ming Dynasty. The preparation of this dish focuses its attention on the crisp air injected skin preparation of the duck that is coated with seasoned honey and Hoisin sauce. Use a spoon to scoop the pulp and juice from the tomatillos into a medium sized stock pot. Discard the skins. Add the sesame seeds to the tomatillos. In a separate pot over medium heat, heat the oil. 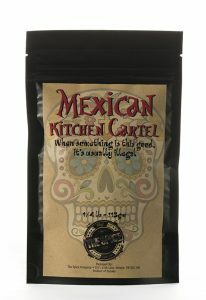 Using a slotted spoon cook the Ancho’s in the oil until lightened in color. Transfer the Ancho’s to the tomatillo mixture. Cook the garlic and pine nuts in the oil until golden brown and add to the tomatillo pot. Remove the oil from the heat and let it cool for safe disposal. Add all remaining ingredients to the tomatillo sauce mixture excluding the duck. Cook the sauce over medium heat for half an hour. Using an immersion blender puree the sauce until sooth and continue cooking it over low heat for another one to two hours until reduce to a thick paste. Remove sauce from heat and allow it to cool to room temperature. 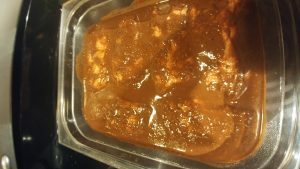 Once cooled marinate the duck breasts in the mole for twelve hours covered in the refrigerator. Remove the duck from the marinade and place fat side up onto a baking sheet. Roast the duck at 350°f for seven minutes for medium doneness. 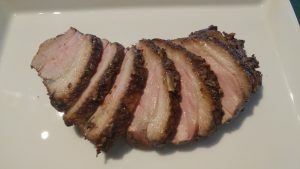 Remove duck from oven and cut into slices for serving fanned out onto plates. 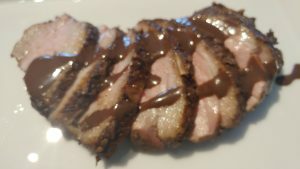 Drizzle the duck with chocolate sauce. Serve with a medley of julienne vegetable. 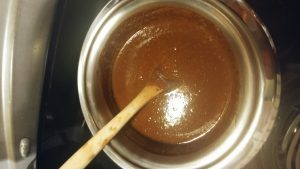 Posted on Tuesday, February 7th, 2017 at 5:12 pm	and is filed under Recipes.